FileI/A/W43 - Correspondence re survey trip to northern B.C. Ernest Austin Weir was born in Randwick, Ontario. He attended the Ontario Agricultural College in Guelph where he received a Bachelor of Science in Agriculture degree. In the summer of 1911, along with fellow student E.W. White, Weir completed an agricultural survey in the northern valleys of British Columbia, between Prince Rupert and Fort George. They undertook this survey on behalf of the British Columbia Dept. of Agriculture. Edward Woodman White was born July 26, 1887 in Hamilton, Ontario, the son of Rev. James Henry White and Sarah Brooks. His family moved to New Westminster when he was a baby. He attended the Ontario Agricultural College in Guelph, graduating in 1912. In the summer of 1911, along with fellow student E.A. Weir, White completed an agricultural survey in the northern valleys of British Columbia, between Prince Rupert and Fort George. They undertook this survey on behalf of the British Columbia Dept. of Agriculture. He married Violet Latham in New Westminster in June 1916 and joined the Dept. of Agriculture as a staff member around 1917. He worked in the horticultural division for over 35 years and retired in 1952 as Supervisor Horticulturalist for Vancouver Island. Edward White died in Victoria on November 22, 1962. The custodial history is unknown. The records probably came to the BC Archives either from the Dept. of Agriculture or from either E.A. Weir or E.W. White sometime between 1936 and 1970. The fonds consists of correspondence, a diary, a report, a meteorological observation journal and a photograph album created by E.A. Weir and E.W. White between 1911 and 1913. The records in the fonds documents the agricultural survey of the Northern Valley area contiguous to the Grand Trunk Pacific Railway, undertaken by Weir and White on behalf of the Dept. of Agriculture. Weir and White were both students at the Ontario Agricultural College in Guelph and they spent the summer of 1911 travelling by boat, foot and pack horse investigating the agricultural condiitons and possibilities in the valleys between Prince Rupert and Fort George. 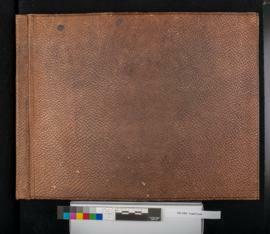 The original reports, negatives and numbered prints taken by Weir and White were sent to the Dept. of Agriculture in 1911, current whereabouts unknown. There are lower level descriptions.